Lawyers can help you in a products liability case by investigating the circumstances of the incident, arranging the laws that support your case, and presenting your arguments at trial. How Can Our Team Help You Succeed In Court? How Can You Make Sure That You Get The Recovery You Deserve? Begin Down The Road To Recovery Today! 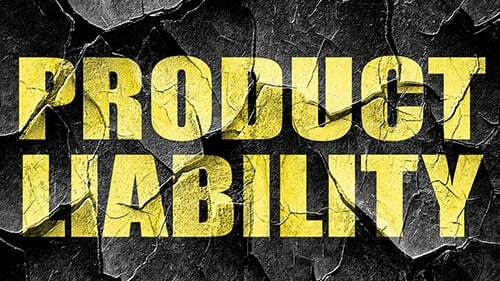 After representing many victims in products liability cases, there are a number of things that we can guarantee you. First, we have the experience and skill to walk you through every step of the case. Second, you will have constant access to Rosenfeld Injury Lawyers LLC for all of your questions and concerns. Third, we will invest all resources necessary to protect your award or settlement. From the get-go, we will give you a roadmap with everything we need to do in order to be successful. Your case depends on discipline and skill and we can provide that for you as we have for many others. Call us today so we can explain how the law affects your products liability case and chances for recovery. Make a list of how it happened, who was there, and everything you remember about the incident. Reach out to a qualified and capable Illinois personal injury attorney. Obtain all the medical care that you need for your injuries as well as all of the records that pertain to the accident and your entire healthcare history. Contact your employer to obtain verification of your income. Avoid contact with the company where you bought the product or any other persons involved. Rosenfeld Injury Lawyers LLC helps Illinois personal injury victims every day. As with all of our cases, we represent clients in product liability lawsuits on a contingency fee basis where we charge a fee for legal services only when we recovery for you. If we are unsuccessful getting compensation for you then our services are completely free. We can help you during this critical time, just call our offices to find out how.